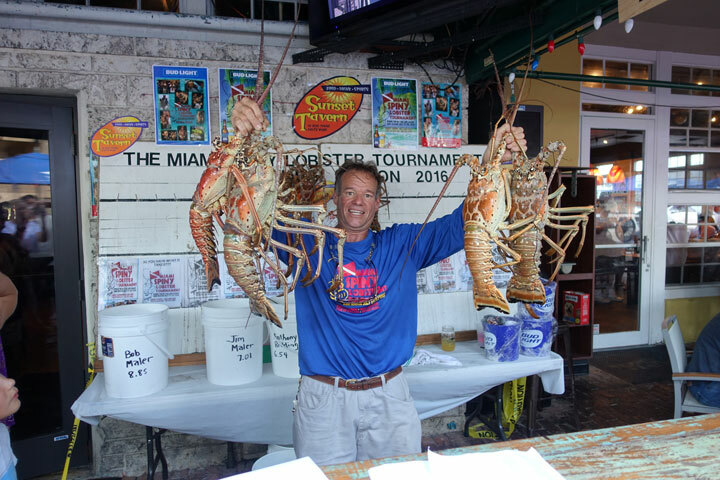 Every July the coastal areas of Florida are flooded with lobster hunters trying to get their share of this year’s bounty in the official mini lobster season. This took place starting at 12:01 am on Wednesday July 27, and ending at 12:00 midnight on Thursday, July 28. 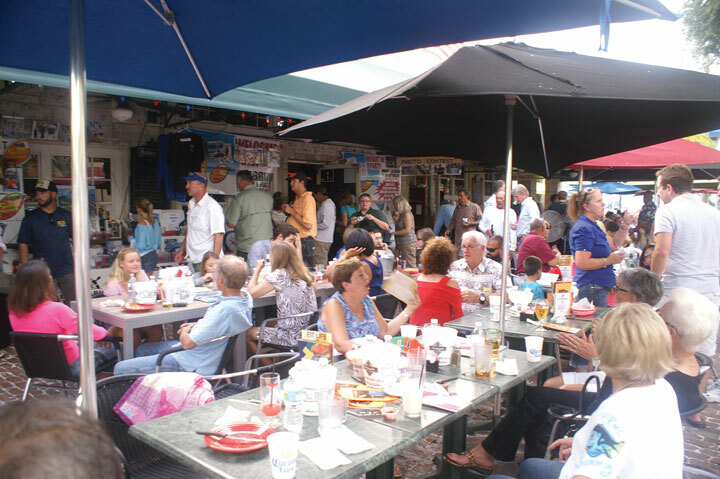 The following day in SOMI, many hunters gather for a party hosted at Sunset Tavern. 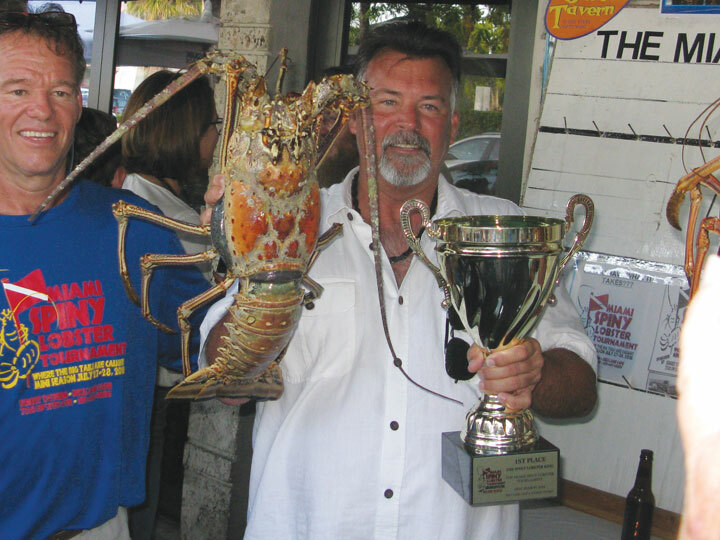 The popular annual event hosted by “Spiny Mike” Maler and partner Jahn Kirchoff continues to entice divers to enter the tournament and bring their catch to Sunset Tavern where it is measured and weighed. 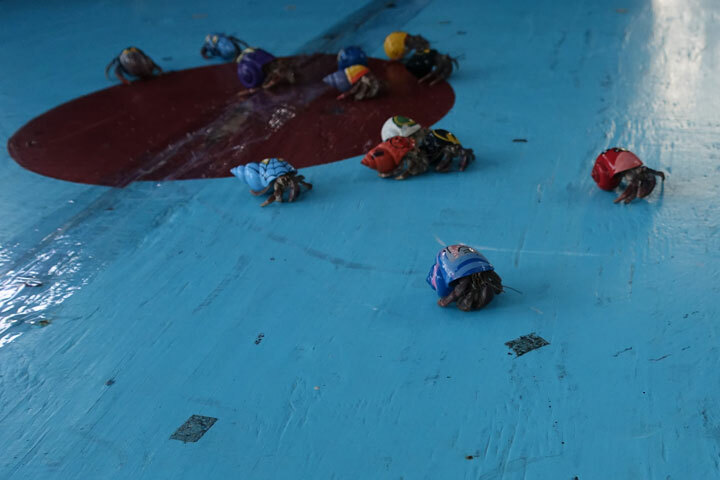 The winning crustaceans are placed on display. 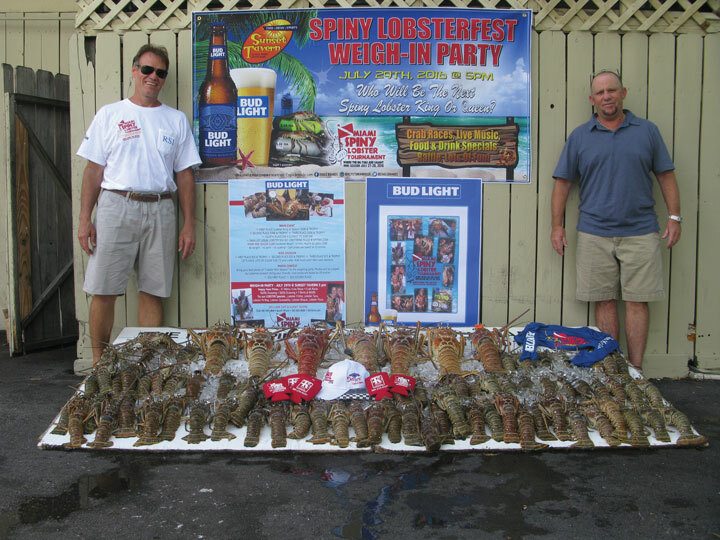 The 2016 Spiny Lobster King was Bob Maler with a 8.85 lb catch (photo top left). 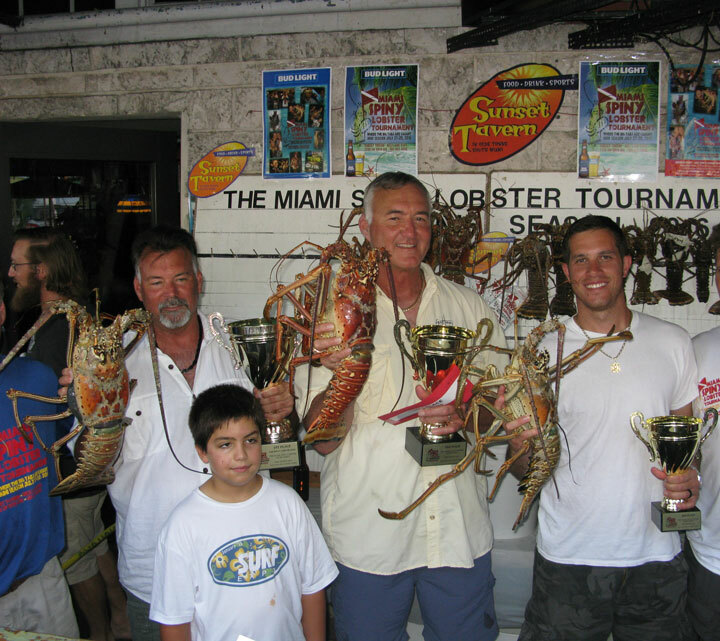 The spiny lobster sport season is regulated by the Florida Fish and Wildlife Commission; a limit is set for 6 lobsters per person per day for the Biscayne National Park. The minimum size for the carapace is larger than 3”, measured in the water. For the tournament, they’re not looking at minimums. 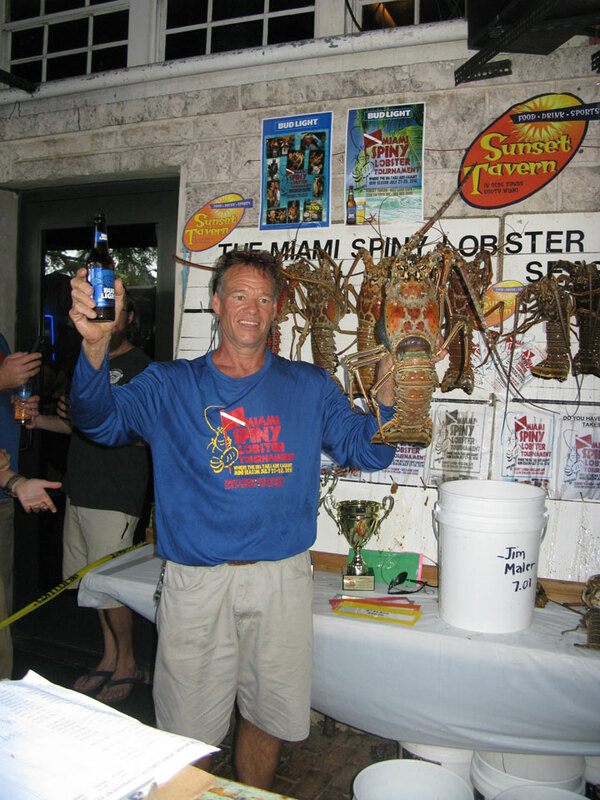 The weigh-in at the SOMI eatery was complete with live music, raffles, a silent auction, hermit crab races, a special lobster and drink menu, photo contest, trophies and prize money for the heftiest “bugs” in both the adult and junior categories. 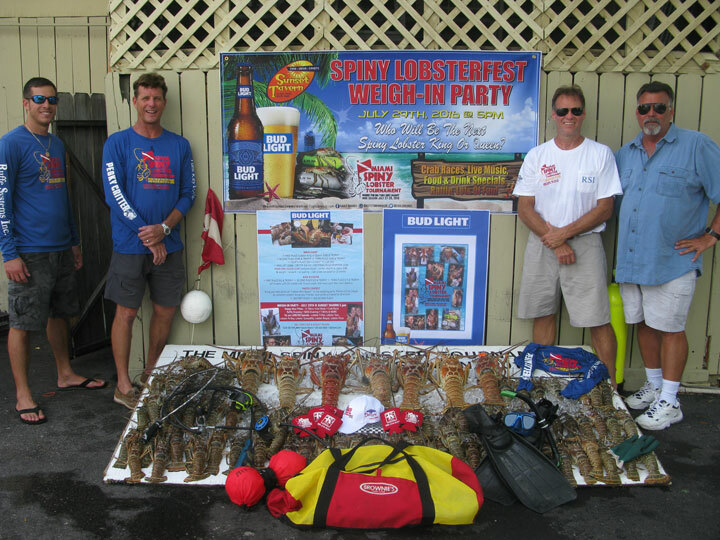 A portion of the event’s proceeds go to the Stiltsville Optimists Club. The Club, a charity run by the Miami Springs Power Boating Club, provides opportunities for children and civic organizations to visit and enjoy Biscayne Bay’s Stiltsville. 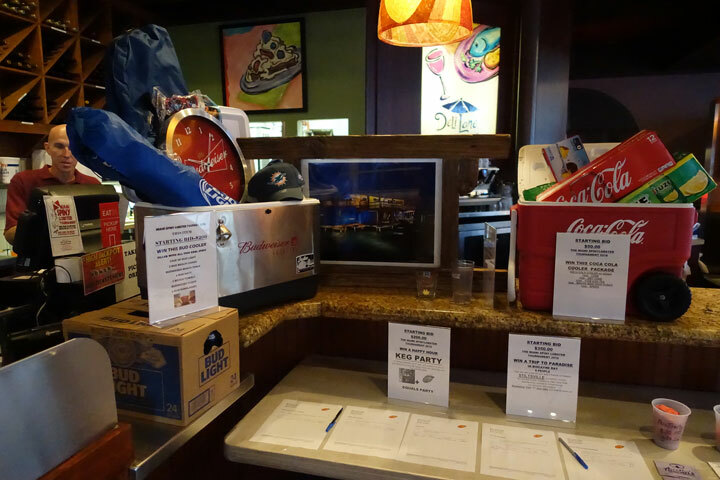 Sponsors of the tourney provided plenty of swag. 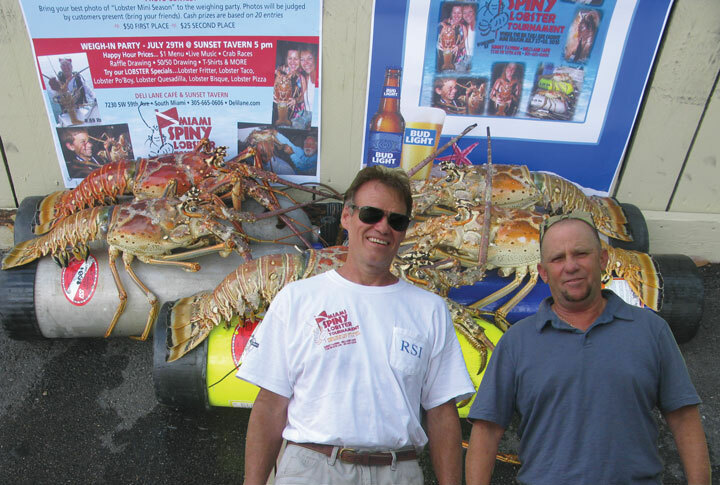 Among the major sponsors year were: Ray Tepper’s Turnkey Construction, Budweiser, Coca-Cola, Austin Dive Shop, Pesky Critters, and Jermco Food. 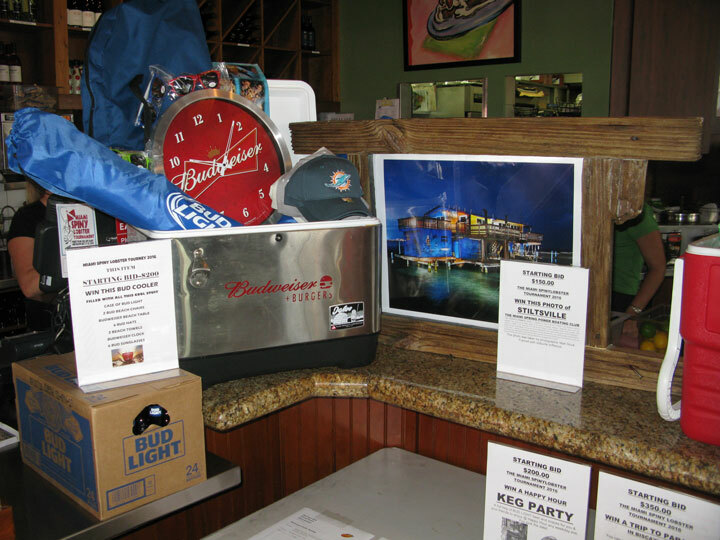 Many other local businesses such as Whip ‘n Dip and Kendall Bait & Tackle also offered raffle prizes. Anthony & Charlie Redding with Mike Maler & Bob Maler. Trophy Winners (L-R): Bob Maler, 8.85 lb. catch pictured with grandson Robbie; Jim Maler, 7.01 catch, and Anthony Redding, 6.54 catch. 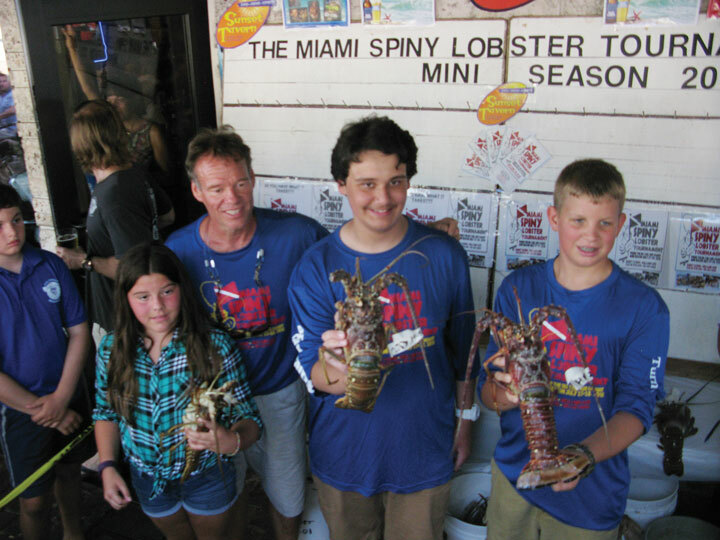 Pictured with “Spiny Mike”, the Junior Winners are (L-R): Alex Garcia, 1.64 lb catch; Mayden Mulder, 2.73 catch, and First Place Hunter Glenn, 2.73 catch.